BeOS debuted in October 1995, running on the PowerPC architecture, which is most popular as the backbone of Apple computers at the time. Initially BeOS was designed for systems using AT&T’s Hobbit CPUs. Be Inc was formed by Apple alumni Jean-Louis Gassée, who left Apple in 1990. At one point, it looked like BeOS might become the new operating system for Apple hardware. Instead, Apple bought NeXT and used OpenStep as the basis for Mac OS X. The final version of the operating system, BeOS R5, was released in 2000. The company’s end came in 2001. 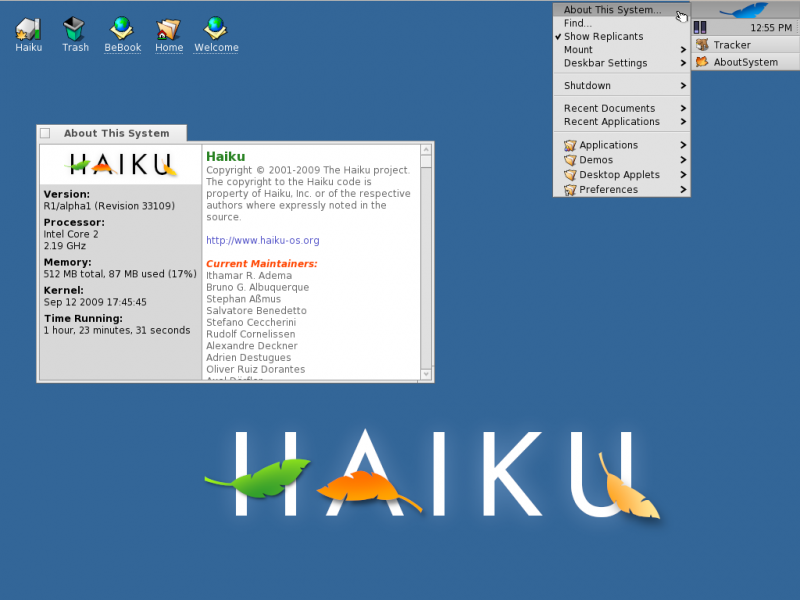 But the OS was still loved by many, and has been brought new life by Haiku. You can download and try the Alpha Release here.